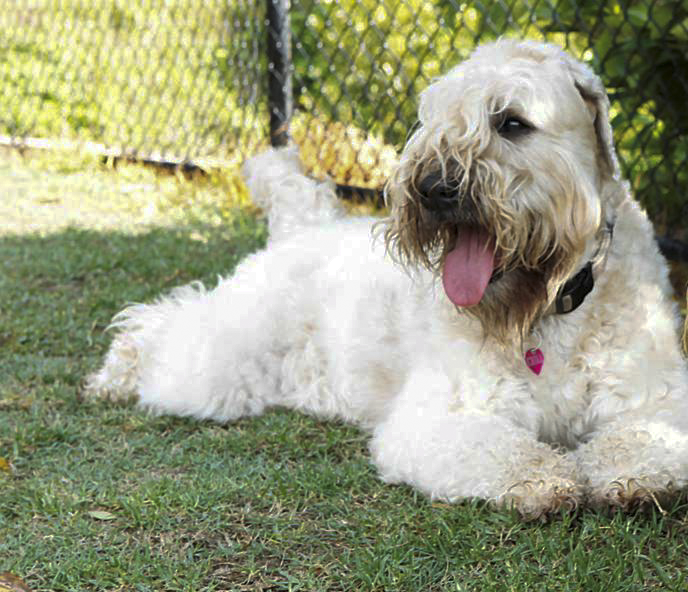 Chili arrived in 2007 after we made the decision to promote the breed by starting our own kennel, Druidsglen Wheaten Terriers. She has proven to be the best mother, nurturing three beautiful litters. Her puppies and their offspring have established themselves in the show ring all over Australia, as well as joining many happy families around the country.